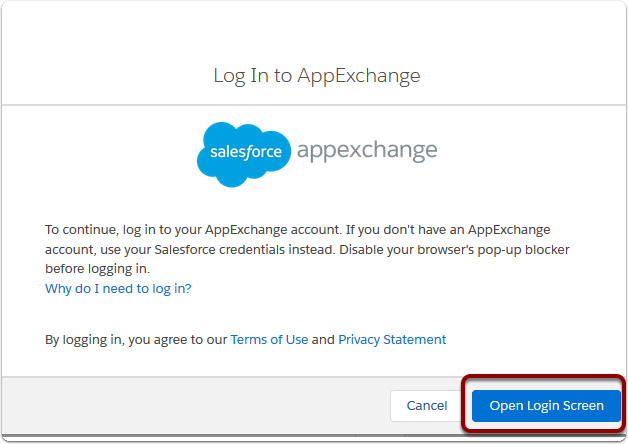 The AppExchange holds extra applications that can be downloaded for Salesforce. Granting access to admins only (System Administrators) allows for internal testing before the the application is fully deployed to all users. 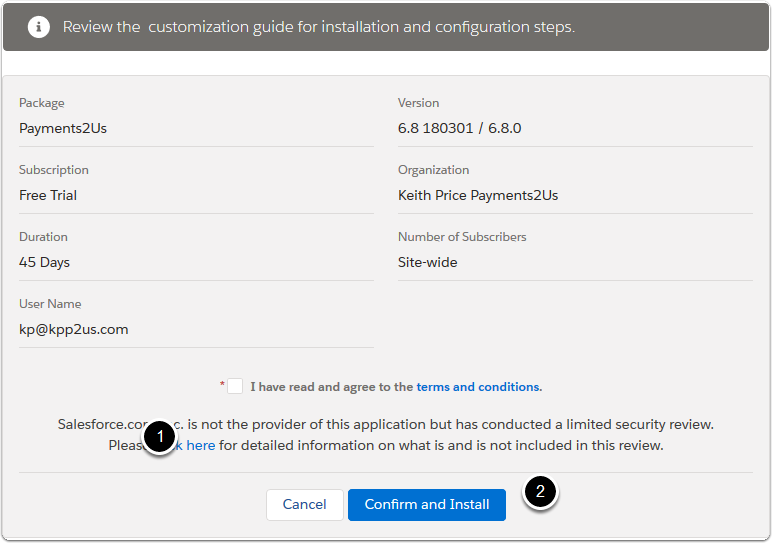 If you select "Install for admins Only" for your first and/or subsequent installs, then you will need to make sure all users that will be using Payments2Us have either the "Payements2Us Admin User" OR "Payments2US Standard User" Permission Set assigned to them. 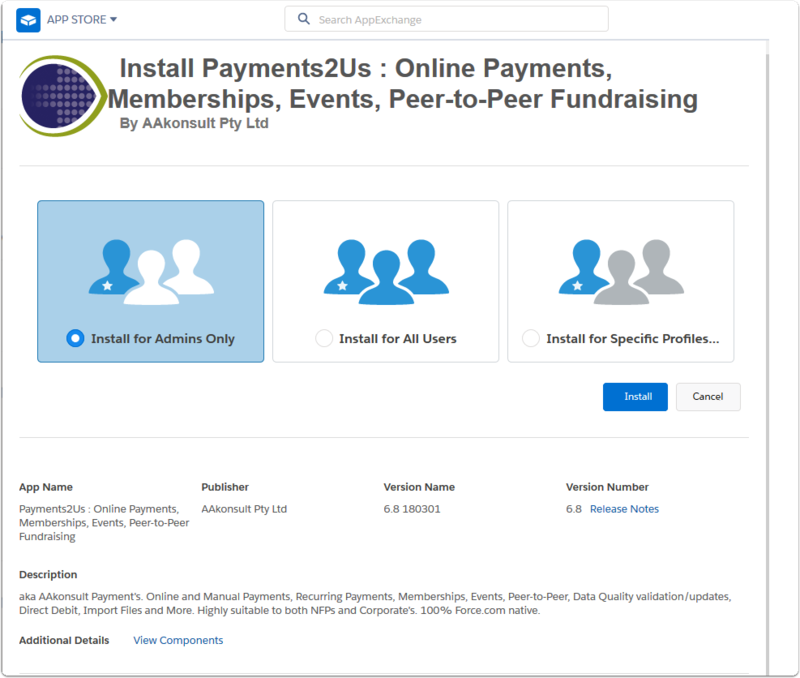 Payments2Us uses the web service provided by third party Direct Payment Solutions, PayPal, Geonames.org and Google. These 3rd party integrations are mainly used on the checkout forms, refund forms, tokenisation and token charge forms. 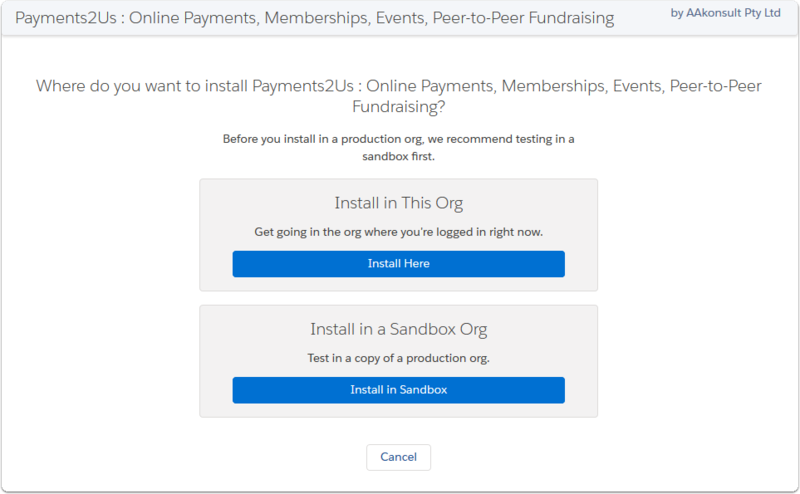 Payments2Us.screenstepslive.com - For sidebar help panel. 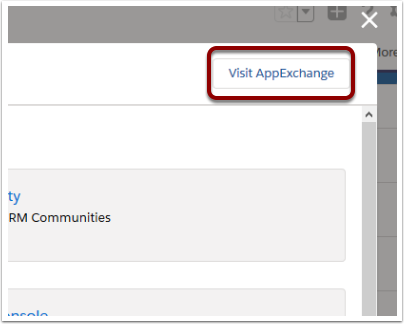 Enables automatic searching of help articles depending on which tab in salesforce you are on. transact.nab.com.au - For NAB Transaction Payment Gateway. Purchases, Refund, Authorisation, Authorisation-complete, Customer Profile update. demo.transact.nab.com.au - For NAB Transaction Payment Gateway Sandbox. Purchases, Refund, Authorisation, Authorisation-complete, Customer Profile update. aakonsult.my.salesforce.com - AAkonsult monthly billing statistic. Includes count of transaction by payment gateway user, by transaction type. Also keeps License options updated. 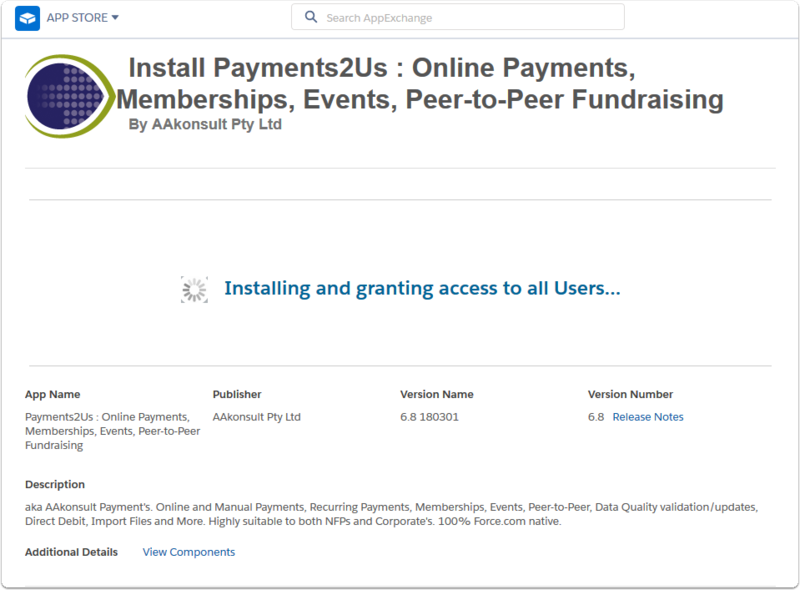 It is a requirement by AAkonsult that this webservice remains active so that we can correctly charge. This should take between 3 to 5 minutes.